There is an increasing concern over gambling features in children’s video games. Gambling-style features in children’s video games are becoming more prominent, while little is known about their impact. Brimbank, one of Melbourne’s most multicultural councils is calling for the Victorian Responsible Gambling Foundation to conduct further research into the prevalence and impact of online gambling, including evidence-based harm reduction strategies. 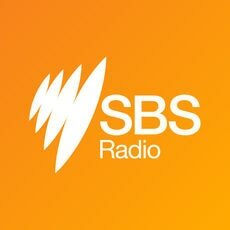 Brimbank’s Cr Virginia Tachos told SBS Greek that the council will seek advice on how the industry was regulated to ensure children are not exposed to games that normalise gambling. According to Cr Tachos, Brimbank has had the highest gambling losses of any municipality in Victoria for the last 10 years that sums up to a staggering $138 million (1) over the last financial year. “That’s $1.4 billion dollars over the past 10 years,” she says. “The impact of this trend on children is not yet known, however, it is concerning. Young people have access to these games 24/7. Their devices make gambling conveniently accessible and it normalises this activity” Cr Tachos says. She asks for regulation to ensure children aren’t being exposed to material that normalises gambling and increases their future vulnerability to harmful levels of gambling. Brimbank is proud to be one of the most culturally diverse areas in Australia – with 160 different languages spoken and about 45 per cent of our residents born overseas. A significant and active Greek community, with more than 7000 local residents identifying as having Greek ancestry in the 2016 census living in the area. In Greek communities gambling, in particular, card games can be considered a traditional pastime, and an enjoyable form of social contact and entertainment shared with family and friends. A report from the Australian Gambling Research Centre (October 2016) found that within countries such as Australia, people from culturally and linguistically diverse (CALD) communities tend to participate less in gambling than the overall population – but those who do may be more likely to experience problems. Some of the factors that might influence this include different beliefs about luck and chance, factors relating to migration, and issues around stigma and shame. Brimbank is the third most socio-economic disadvantaged area in Victoria (2), but it hosts 15 venues with a total of 953 poker machines, which is the current maximum set by the Victorian Government. Cr Tachos told SBS Greek that gambling causes significant harm to individuals, their families, and our community. She referred to a Central Queensland University (CQU) study that was released in 2017. According to this study, the cost of gambling harm in Victoria in 2014–15 has reached $7 billion. “This cost includes harm across many aspects of life – financial, work or study, health, emotional or psychological, relationships, and cultural harm and criminal activities’, as mentioned in a study by the Victorian Responsible Gambling Foundation. The council has called for more research into the prevalence and potential harm from online gambling. The reason behind this call lays on the fact that the addictive features of modern electronic gambling machines have made them a public health issue. At the same time, the Electronic Gaming Machines (or EGMs, or widely known as pokies) are regulated by the Victorian Government, so local councils are limited to advocating for change. In particular, Brimbank and the Alliance are calling for: maximum $1 bets to reduce the amount of money gamblers can lose each time they press a button. “We need regulation to ensure children aren’t being exposed to material that normalises gambling and increases their future vulnerability to harmful levels of gambling,” Cr Tachos says. (1) The average annual losses on EGMs in Brimbank between 2007 and 2017. (2) Browne, M, Langham, E, Rawat, V, Greer, N, Li, E, Rose, J, Rockloff, M, Donaldson, P, Thorne, H, Goodwin, B, Bryden, G & Best, T (2016) Assessing gambling-related harm in Victoria: a public health perspective, Victorian Responsible Gambling Foundation, Melbourne. Chief Executive of Victorian Responsible Gambling Foundation, Louise Glanville, and the foundation’s board member Tass Mousaferiades talk to SBS Greek. ‘West of Sunshine’ is the debut film of Greek Australian writer, director and producer Jason Raftopoulos. The 78 minutes feature film was screened in last year’s Venice Film Festival and was greeted with a five-minute standing ovation. Jason Raftopoulos talks to SBS Greek.